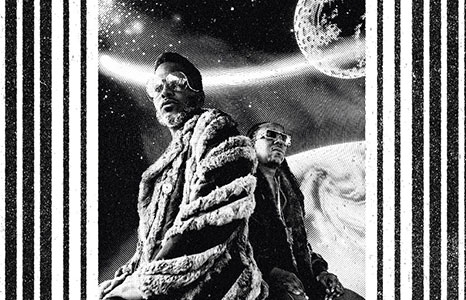 Join us as we traverse through space and time during an intimate performance by the incomparable Shabazz Palaces. Seating is limited so don't miss out on this transcendent experience. Special guests include Super Groupers and PaizLee & Ian O’Sullivan. Doors open at 6pm with a no-host bar. Show starts at 7pm. Guayaki Yerba Mate: Our vision holds that yerba mate culture will power our Market Driven Regeneration™ business model to regenerate ecosystems and create vibrant communities. We integrated the regeneration of people, community, and nature into our business model. Every purchase of Guayakí Yerba Mate drives rainforest stewardship, indigenous culture resilience, carbon drawdown, and the regenerative practices described here under each product life cycle stage. Meanwhile your enjoyment of yerba mate reconnects you with the vitality of life. When we come to life, we care about one another and stand together to create a better future. Special thanks to Maui Brewing Co for being the sole beer sponsor of this event and for also supporting the Soundshop music education program. 23rd Elevation: Through progressive programming, 23rd Elevation connects museums, nonprofits and DIY arts organizations with mission-aligned sponsors in order to create and/or sustain social platforms that will embolden, educate and empower communities through the shared experience of artistic expression.